Get the Salt Spring Island Well Drilling Cost ONLINE! We offer Salt Spring Island property owners full access to the current 2018 Salt Spring Well Drilling costs. Salt Spring Island Well Drilling is a more affordable way for property owners to drill for water along with quick well pump installations. 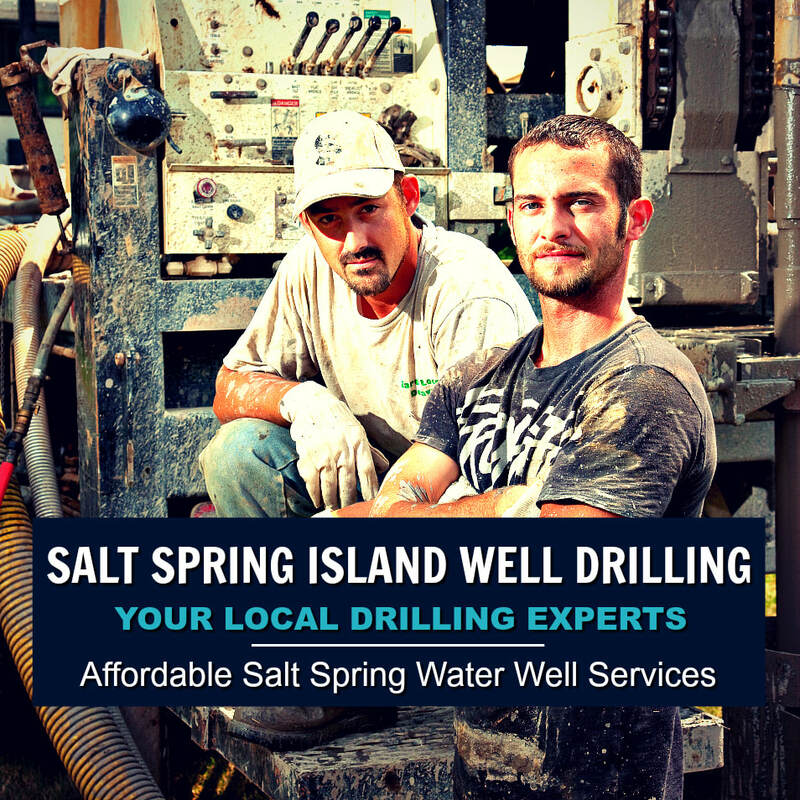 Request a DETAILED quote online for the cost to drill a well on Salt Spring Island. Our request for information will help us prepare an itemized well drilling cost for Salt Spring Island. Please submit your information, we do respond quickly. Your information is private and helps us provide a complete and detailed quote for the 2018 Well Drilling Costs for Salt Spring Island. 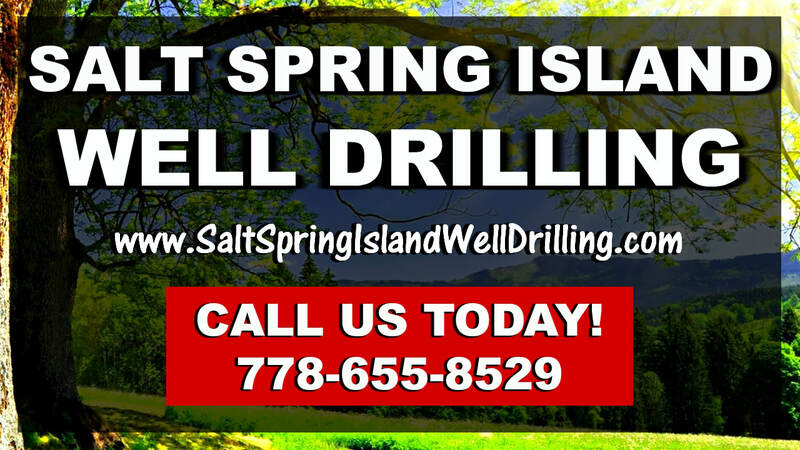 Salt Spring Island Well Drilling offers professional well drilling services on Salt Spring Island. We’re focused on the needs of the island's property owners. Providing well drilling and water well services completed to our own exceptional well drilling construction standards. Drilled wells on Salt Spring Island, and important part in everyday life for hundreds of property owners on the island, including hobby-farms, and local Salt Spring Island businesses that rely on groundwater resources to sustain water requirements. Even real estate values can be affected by the lack of an acceptable water supply or by utilizing an existing old shallow well and, understandably so, if you've been required to haul water to maintain basic water needs throughout the hot summer months. Many Island property owners understand the common hassle of owning a water storage tank to service their property, a lack of water, generally means water restrictions and frequently the cost of a Salt Spring Island water delivery service. Salt Spring Island real estate buyers may not be willing to purchase property on Salt Spring without an adequate water source, it’s also not unusual for a bank or lender’s to be unwilling to mortgage real estate on Salt Spring without a stable year-round water supply. Our Salt Spring Island well drillers rely on a broad-range, of specialized local well drilling knowledge and vast experience drilling in the sub-surface and variety of geological environments to develop groundwater supplies for local property owners. We're mindful of the well drilling costs on Salt Spring Island and appreciate that drilling can be a significant outlay. Our Island well drillers pursue the best possible clean water source likely to be located on your island property, while there’s never a guarantee of water everyone is focused on doing their best! Residents greatly appreciate quality water systems on Salt Spring, the importance cannot be understated, water wells are vital for many local island properties to thrive. We strive to drill water wells that stand the test-of-time by providing quality materials and workmanship from the beginning of all our well drilling projects. Well Drilling Salt Spring Island always strive to avoid dry-hole drilling or the costly and often unnecessary process of hydro-fracturing water wells. Additional add-ons will escalate the well drilling cost quickly, our goal is to keep all the extra’s to the absolute minimum. Salt Spring Island Well Drilling is completely transparent with all well drilling costs on Salt Spring, we refrain from well drilling practices that are not in the best interest of our clients, while the financial well-being of a well drilling company depend on profits we will not put profits ahead of integrity! When drilling a well with us, we deeply respect the cost to drill a well on salt Spring Island. If you're planning to drill a well on Salt Spring, we would like to provide you with a FREE online estimate! Most property owners prefer our full-service well drilling program, we're experts at managing well drilling projects from beginning-to-end and small to large, including well pump installations or the construction of complete water systems as part of the entire package, if requested. Plenty of Well drilling experience is needed to successfully drill quality wells on the island. But often, more important than the drilling itself is the water-well-development process. Good water well development is not only crucial for long-lasting wells but it also reduces the well drilling cost on Salt Spring Island. We always avoid excessively deep drilling on Salt Spring Island, always aiming to eliminate as many water well problems as possible. Deep-holing will obviously increase the overall well drilling cost on Salt Spring Island. Remember, when drilling a well the cost is regulated by the foot! Deep-holing may greatly increase the chance of hitting salt water in areas of the the island too. We take pride in our well drilling practices and make every effort to maintain reasonable well drilling costs to the best of our ability at all times! 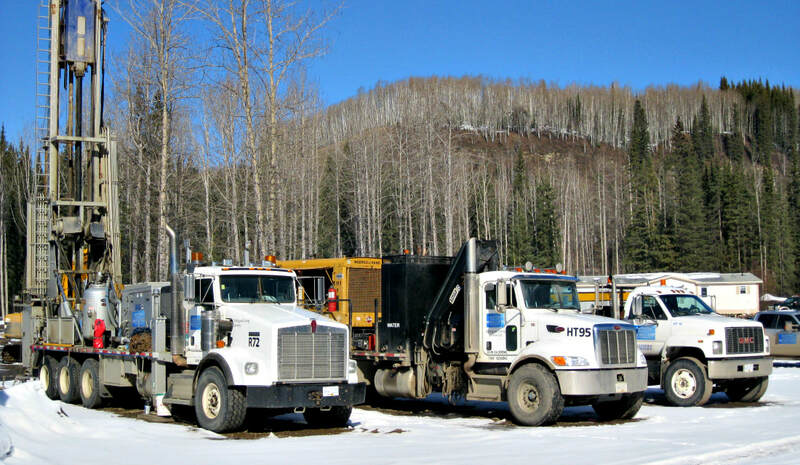 We're fully-equipped to handle all drilling projects regardless of size or requirements. 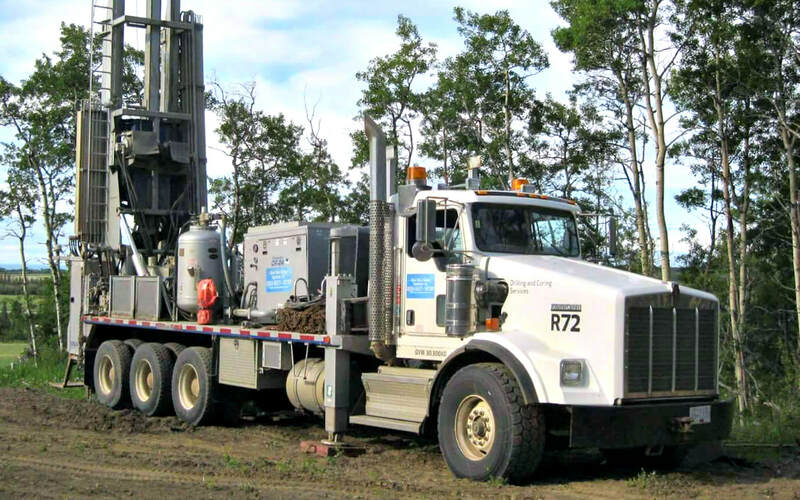 We're experts in domestic well drilling, large diameter wells including geotechnical drilling. No problem with large drilling projects either, we're fulling equipped with DR-24 Barber drills with the ability to drill from 6” to 22” diameter holes and depths of more than 1,000 feet. Salt Spring Island Well Drilling has engineered and innovative well drilling equipment available to meet all well drilling requirements, with the ability to handle very specialized drilling projects including expert Salt Spring Geotech Drilling & Geotechnical Services. Salt Spring Island clients enjoy our One-Stop-Shop water system program, we're pros at managing well drilling projects from start to finish including deep well pump installations and water system construction on Salt Spring. Our local well services eliminates stress and the costly well drilling problems often experienced by property using multiple water well contractors who may not communicate or work together in the interest of island property owners. With any well drilling method on Salt Spring Island, the permeability of the formation around the borehole is reduced. As an example, with the cable-tool method, compaction and clay-smearing occurs. With the wet-rotary drilling method, fluid in-filtrates the aquifer and when reverse circulation is used, water that is loaded down with fines can often obstruct the formation as a vacuum effect occurs around the drill bit. Well development is demanding and critical for the best quality of water well construction to maximize the efficiency of a drilled water well by rehabilitating the aquifer after the disruption caused by the well drilling process. Fine-particles surrounding a well screen must be removed from the area to increase the permeability of the aquifer, with the use-of-air and our unique surge methods Salt Spring Island Well Drilling can enhance water well development procedures on the island. 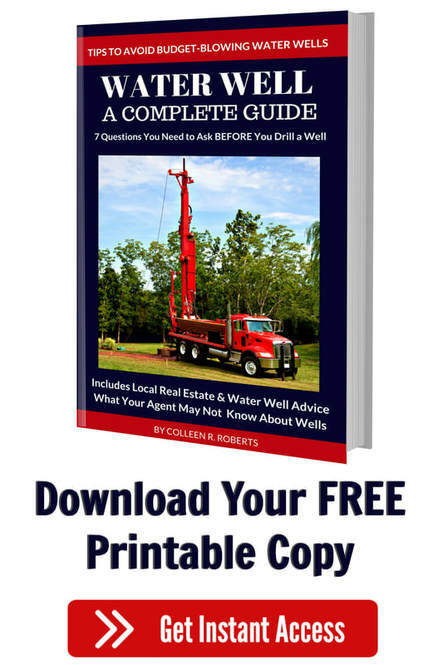 Please take a copy of our Water Well Drilling Guide and request an online well drilling quote today! BC Ministry of Environment WELLS Database Salt Spring Island. The WELLS Database and well drilling regulations for Salt Spring Island is regularly updated and managed by the British Columbia Ministry of Environment. The provincial government's iMapBC is an important online portal to a wealth of open government data for the island. An important local resource, WELLS Database Salt Spring Island is a self-serve online system, free of charge and available for public use, it you need any help please contact our office, we're happy to answer questions. Along with the British Columbia Water Well Regulations, Resources and the Salt Spring Island water well Search Tool, you'll find the provincial land-use requirements, setbacks, VIHA Links, BC Water Rights Database and other pertinent water information and regulations with reports to download and other important website links. 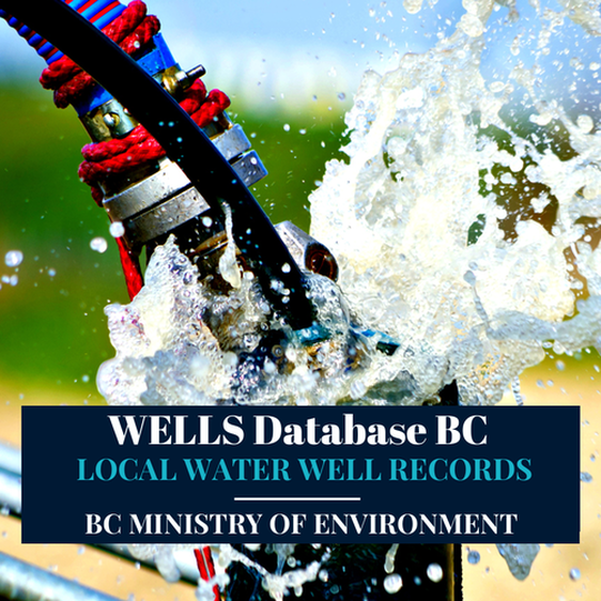 Salt Spring Island Well Drilling provides BC Well Drilling Regulations, Canadian Drinking Water Guidelines and the official WELLS Database Water Resource Library. Not all water wells are drilled deep on Salt Spring, in fact many wells will be less than 200' deep. If a water well is located near potential sources of contamination it is vulnerable and can become contaminated with the possibly of causing serious illness or even death. British Columbia Water Well Regulations and the Ministry of Environment set-backs for water wells on Salt Spring Island and the neighboring communities are required to protect water resources from becoming contaminated from a multitude of possible sources. To understand comparable well drilling depths on Salt Spring, it's best to locate the BC Ministry of Environment set-backs and refer to your local resources including well drilling reports, resources are available at British Columbia Water Well Search and local community bylaw offices. 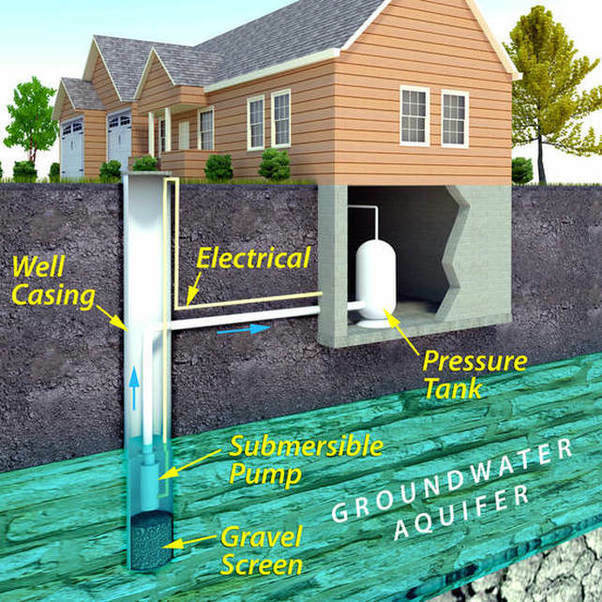 All water wells should be located on higher ground when possible to protect the well head from normal or seasonal flooding and possible surface drainage. Salt Spring Island has all necessary procedures in place for our community water systems. Private water wells, however, are outside local jurisdiction & are the responsibility of the BC Ministry of Environment.